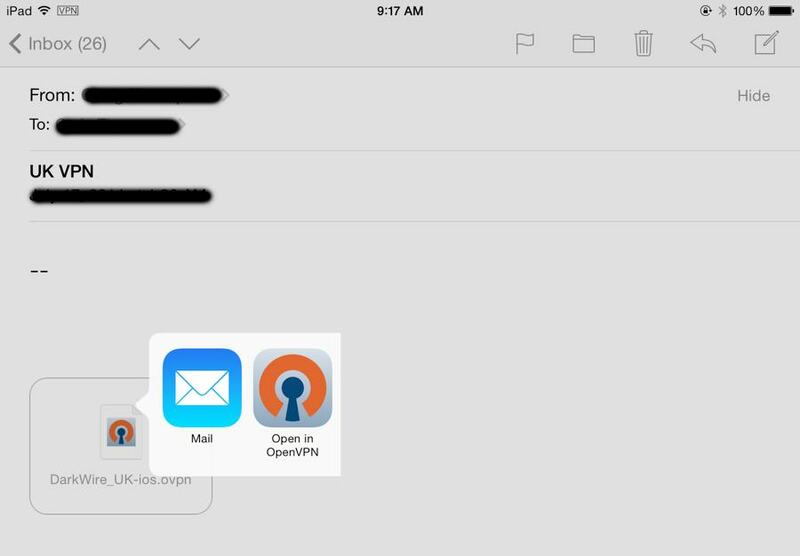 First, go to the App store on your iOS device and download the FREE OpenVPN Connect app. After installing the app, you should use the configuration files you received during the signup process which have “ios” in the name. 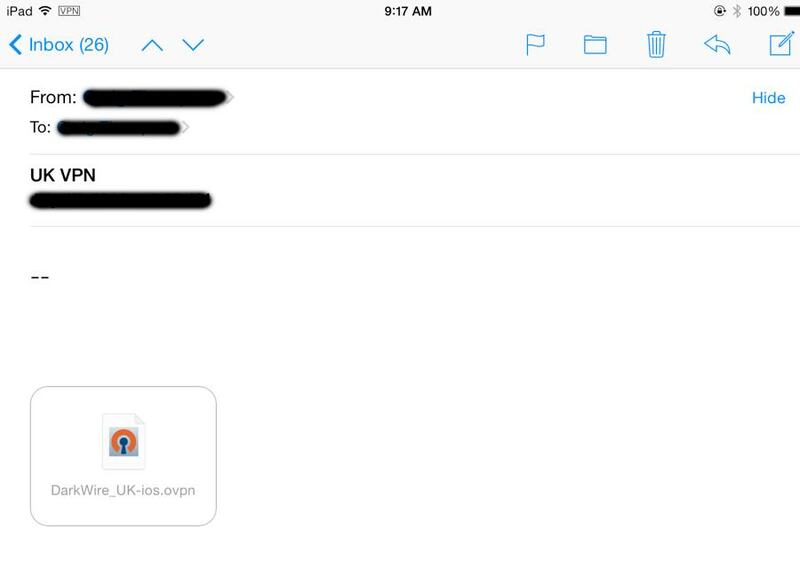 Once you have e-mailed the files, go to your iPad and bring up the e-mail. The OpenVPN app will open and give you an opportunity to import the new configuration file(s). Hit the plus (+) symbol to import each configuration file. Once you import the file, you will be taken to a list of your configurations. You can tap the configuration file name to bring up the Rename Delete options (top right). 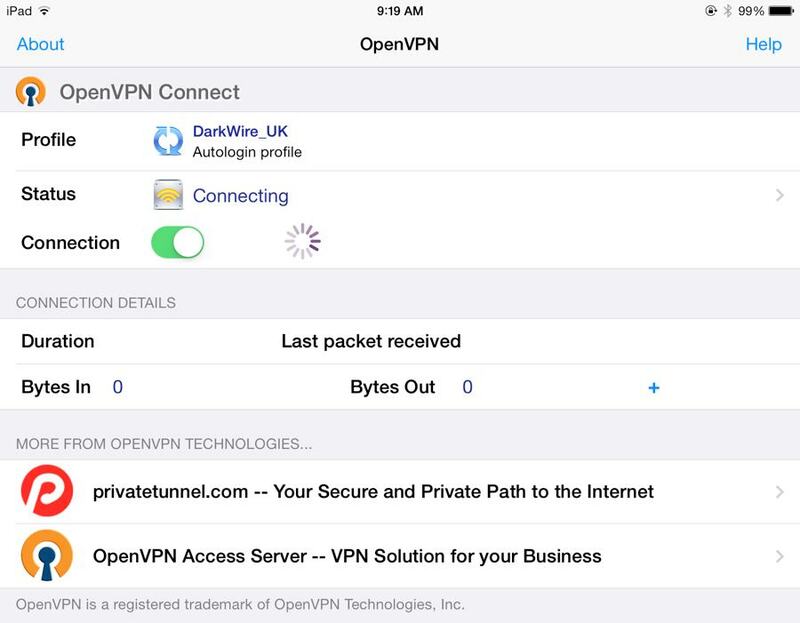 After renaming, hit the OpenVPN button at the top left to return to the main menu. 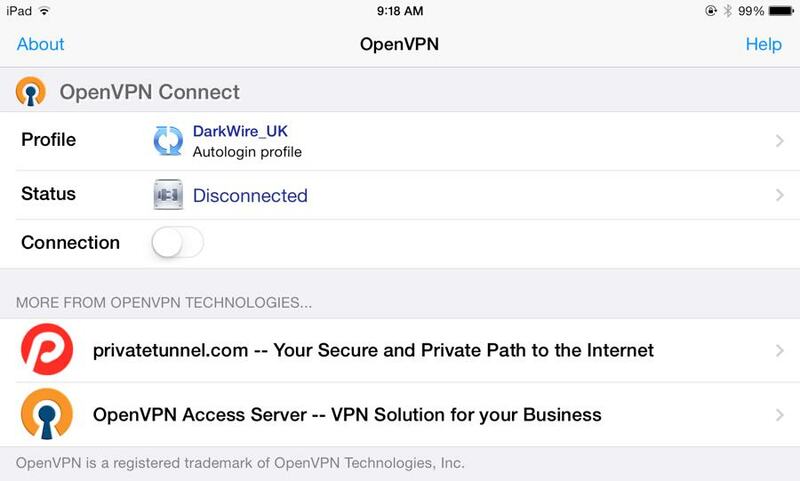 Tap or slide the slider beside the Connection indicator to turn the VPN on. Once the VPN is connected, it will say Connected by the Status indicator, and you will see a VPN indicator next to your wireless signal in the top left of the screen.